New 4-H horticulture Club! Are you ready to get your hands dirty? 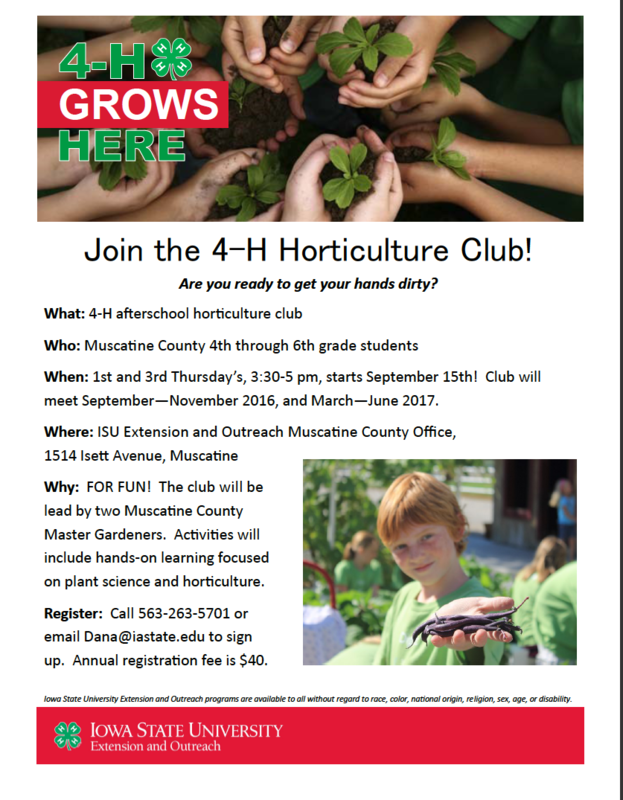 The club will be lead by Muscatine County Master Gardeners and activities will include hands-on learning focused on plant science and horticulture. This club is open to all 4th to 6th grade students in Muscatine County. Due to school let out times, if you are not able to get there right at 3:30pm, do not let that stop you from joining. You can come when you can! Scholarships are available through Kids First Fund with United Way.